Bill&apos;s hood is ready for a wedding. When he calls Brooke, all she has to say is, "You thought of everything as usual." She tells Bill she&apos;s still at work. When he asks why, she pulls a Marcia Brady and says, "Something suddenly came up." Ridge repeats yesterday&apos;s pleas. He still wants to marry her. He will never screw up again. He tells her he and RJ will be waiting for her so THEY can get married. Bill&apos;s boys tease him about it being his third attempt. Liam remarks that he and Brooke deserve it since they couldn&apos;t make it happen before. Bill says, "Now you&apos;re being a good boy." They question why Brooke is at work (thank you!) and if Ridge is making a last pitch. Brooke shows up at Katie&apos;s. She tells her she was late because she was talking to Ridge. Brooke is happy that her sister is there to help her. Katie questions who she really wants to marry. Bill tells his sons and Justin that he&apos;s in it for the long haul. Brooke is his everything. Justin says that no one "measures up" to Dollar Bill (hmmm). Quinn questions Ridge about how Brooke could marry Bill and then talk to him in the same day. Quinn mentions what she and Brooke talked about yesterday. Quinn tells Ridge (in case you missed it) that she is completely done with him. Ridge hopes that Brooke will show up to marry him. Katie Kravitz presses Brooke for information. Brooke claims she&apos;s marrying Bill and that&apos;s that. Katie really, really wants to know who Brooke will marry. Ivy tries to distract Quinn with, um, work because there is a huge collection that needs to be finished. Quinn says F work and calls Bill. He thinks this is a good opportunity to drill her for information. He wants to know why Brooke ditched Ridge in Australia. He tells Quinn that he will get to the bottom of it. 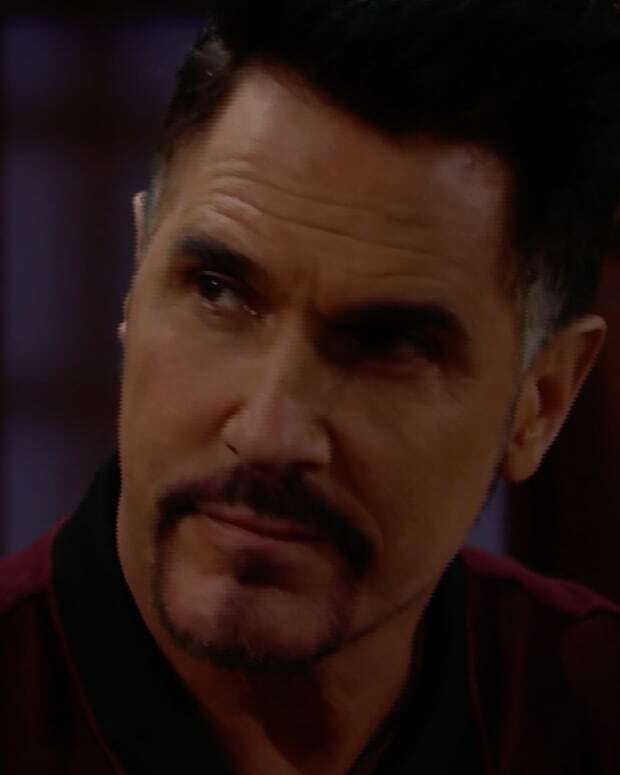 Quinn lets it slip that Ridge is not giving up on Brooke. Bill is surprised that he&apos;s doing this so late in the game, but he is confident he will win. Ivy wonders who Brooke will choose, but why would Quinn care? UGH! After Ivy leaves, Quinn has flashbacks of the guy she doesn&apos;t care about (hint: it&apos;s not Bill or Eric). Katie is relentlessly passive-aggressive with Brooke. She claims that Donna wants to help their dad. Katie counters that she may just want to stay away from Brooke&apos;s drama. Katie claims that she will support Brooke&apos;s decision. She reports from her Nancy Drew pocket diary that there is nothing going on between Quinn and Ridge. Brooke fiddles with her engagement ring after hearing her sister sing Ridge&apos;s praises. Ridge waits for Brooke at her place. He has a flashback of the flashback from yesterday. A door opens at Bill&apos;s and Brooke&apos;s places. Where could she be?